"A 'must read' for all old and young seekers of truth all over the world. "If you want to pursue in a Western way the path that we follow here at Mirtola, you need to study and work with the Gurdjieffian teaching." 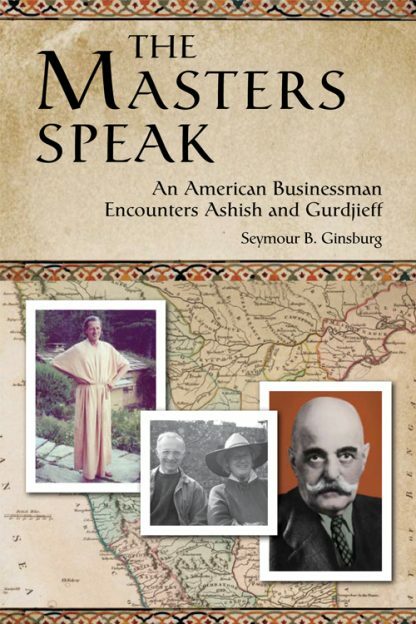 Thus did the guru Madhava Ashish, at their first meeting, invite American businessman Sy Ginsburg on a spiritual journey that would last 19 years (until the guru's death) and include both annual visits to Sri Madhava Ashish's Mirtola ashram, near Almora, in India's Himalayan foothills, and a lengthy correspondence. Along the way, the entrepreneur/author would not only be caught up in the teachings of G. I. Gurdjieff, but also in the search for the elusive unitive vision � the world viewed from the perspective of the greater Self and not the personality. In this remarkable spiritual document, the reader shares the search, increasingly catching glimpses of the unitive vision as the book draws toward a close that is also an opening out, into the vaster dimensions of the human mind. Seymour B. (Sy) Ginsburg was born in Chicago, Illinois, in 1934, and graduated from Northwestern University with degrees in accountancy and law. He was a founder of a predecessor business and the first president of Toys R Us, and afterward a member of the Chicago Mercantile Exchange. On a private visit to India in 1978, he met the guru, Sri Madhava Ashish, who advised him: "If you want to study in a Western way the path that we follow here at Mirtola, you need to study and work with the Gurdjieff teaching." Sy is active in the Theosophical Society and was president of the Theosophical Society in South Florida for many years. He was a founder of the Gurdjieff Institute of Florida, and has been a student of Theosophy and of Gurdjieff's teaching for more than twenty-five years. With his wife Dorothy, he currently divides his time between South Florida and Chicago where he periodically gives this introductory course on Gurdjieff's teaching to introduce the teaching to those who may be interested.